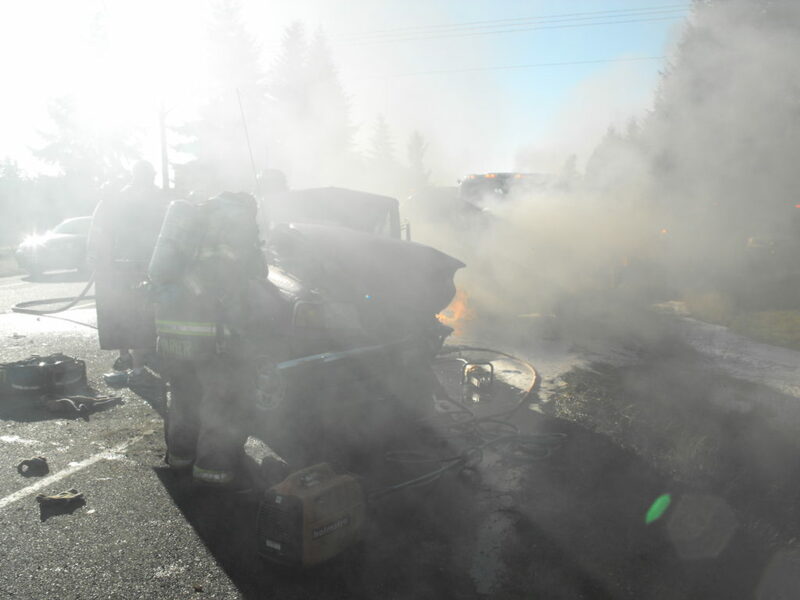 On a warm and sunny September afternoon, a semi-truck driver was gazing out at the Washington countryside when he slammed into the back of a car at nearly 60 mph. The truck driver never touched the brakes. 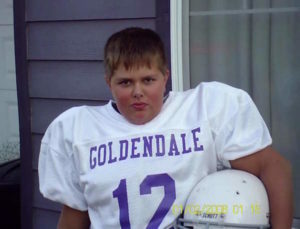 That crash killed Garrett Underland. He was just 15 years old. Andy Sommer was turning down the road that led to his home when a semi-truck driver rear-ended his Jeep at full speed. The impact caused a fire, and Andy suffered incredibly painful first-degree burns on much of his body. His life was saved because another driver, a local medic, pulled him out of the fire. These are only two of the many thousands of rear-end crashes that could have been prevented if tractor-trailers had basic automatic braking technology, which is now common in new cars. Rear end crashes like this one could be significantly reduced by requiring automatic emergency brakes in heavy trucks. Rear-end collisions are among the most common, most violent, and yet most preventable semi-truck crashes. The automatic emergency brakes—or forward collision mitigation— can prevent 70% of rear-end truck collisions, according to trucking companies that have the equipment in their fleets. Even when rear-end crashes can’t be prevented, reduced speed means that the injuries may be less severe, and property damage reduced. Some car makers have been using automatic emergency brakes for decades. By the year 2022, every new car sold in the U.S. will have this technology. Yet, only approximately 15% of all heavy trucks have automatic braking. Why are the laws more stringent for your 3,000-pound family car than for an 80,000-pound tractor-trailer? Why don’t all heavy trucks have automatic brakes? Simply put, the agency that regulates commercial motor vehicles—the National Highway Transportation Safety Administration—has never made it a rule. I have found that motor carriers don’t pursue safety unless forced to do so by regulations, rules and laws. A Kansas City Star investigation looked into this issue. They found that the National Transportation Safety Board has recommended that NHTSA require trucks to have automatic emergency braking at least 10 times since the 1990’s. We recommended that, as soon as possible, NHTSA develop performance standards for collision avoidance systems in commercial vehicles. Back in 2015, NHTSA granted a petition submitted by trucking safety groups including Road Safe America and the Truck Safety Coalition. NHTSA has not even published a proposed regulation, much less actually put a law into effect. Nor have NHTSA representatives ever explained why the agency is ignoring the NTSB recommendations. Without automatic emergency brakes, the death toll will rise. At least 300 people die and 15,000 are injured annually in wrecks where a semi-truck rear-ends another vehicle. The technology which would make semi-trucks safer is not groundbreaking or unfamiliar. Some motor carriers are willing to spend a couple of thousand dollars to make our public roadways safer— and reduce their crash rate. Others would rather not add to the cost of a new 18-wheeler. It is fair to say that safety mechanisms for the trucking industry have not kept up with the pact of technological advancement. With freight shipments by semi-trucks climbing, the likelihood of future rear-end collisions will increase. So why would a motor carrier not want to equip its 18-wheeler with affordable and effective emergency braking systems? It is time for the regulatory agencies and motor carriers to take the simple step of adding emergency braking systems to heavy trucks. It is one concrete action that we know will save lives, prevent injuries, and reduce the human toll of trucking transport. Attorney Kevin Coluccio has spent three decades working to create real and positive change in the lives of injured people and their families. You can contact him here, or find him on Twitter or Facebook. 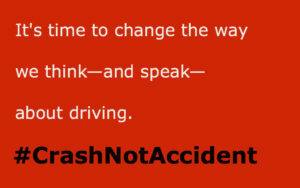 Most car “accidents” are not accidents at all: they are predictable, preventable crashes. It’s time to change the way we think—and speak—about driving.